There are two ways to play Madden. 1. Play it as a Mike Tyson’s Punch Out! series of learning combo moves, money plays and glitches in programming and exploit the game rather than playing anything resembling football. This is what all Madden Ultimate Teams, on-line head to head (games) between strangers and playing against the CPU is about. 2. Attempt to play “simulation”-style football in franchise mode where you make a series of rules for the members of your league (having to punt on most 4th downs, switching up play calling, banning exploits and glitches) and getting a group of people to schedule play each other and try and squeeze in 8 or so seasons over a calendar year. I will not entertain option 1, it has completely ruined the series with micro-transactions and encouraging bastardizing the game into to some bizzaro neck beard fest of nothing that looks like football. If you are looking to play ACTUAL football in franchise mode it is nearly a full time job to incorporate rules and find good people.Enough about modes- the actual game.The game play this year is uneven and clunky. Players still run awkward and the ball still hangs in the air about 5 seconds too long on deep passes, problems that have plagued the game since Super Nintendo days. You’ll find 80% of pass routes are unusable due to super jumps by CPU or User controlled linebackers. You can still cover a 30 by 30 yard box with almost any middle linebacker, press the interception button and pick it. Madden tripled down on making offensive lineman even worse by adding MORE ratings that do nothing in game. The addition of lead blocking and finesse blocking has been added, but your lineman will still have a 5 on 3 blocking advantage and still let pass rushers in untouched. Also when playing any user a 99 OVR right guard, can be shredded by a 67 OVR defensive end simply by mashing the “A” (on Xbox) non-stop. Videos have also show you can make your punter a Left Tackle and he will still block at a league average level. So more ratings yay! More ratings that don’t matter a lick. Boo! The ratings system was clumsily changed to try and build scheme into the game, but it really has no effect. Speed and acceleration is all that matters for wide receivers as the game relies on predetermined animations rather than letting the ratings do their job. Instead the experience points generated for your players going towards what you want to upgrade, players are upgraded by archetype — you can upgrade a wide receiver by choosing one of 4 different archetypes. Deep Threat, Possession, Slot, Red Zone threat. When you do the upgrade, you get a bump in the ratings assigned to that group. Unfortunately, traits don’t come in to play for those. So if you have a 21-year old wide receiver who doesn’t have the Feet in Bounds trait he may be 33, 12 years in the league and never get this easy to grasp concept an 11 year old can master down. Madden NFL 19 has a new concept this year that lets you edit the draft classes for your franchise mode… A new feature??!!?? A feature available in NFL2K5 13 years ago. A feature available in Front Page Sports Football in 1996. It’s stunning this is being called a new feature when it’s really an embarrassment that has been missing from the game for 2+ decades. There is really nothing else of note in this year’s game. 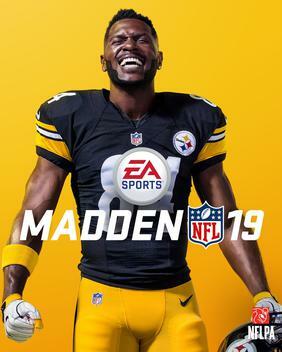 If you are an MUT player this game is for you, go grab dad’s credit card and spend away on upgrading your arcade team. If you are looking to play a fun simulation game you will need to find an in roads to the Madden Sim Community and find a well-run league (Like mine: KTC Football). Innovation and debugging the game are not in the plans as EA has a strangle hold on exclusive rights and every big time game reviewer in their back pocket. Honestly, if you are a casual football fan, just stick with older versions or break out Front Page Sports for the PC or find a way to get NFL2K5 to work on your Xbox or Playstation. Rating. 1/10. There is nothing new in Madden NFL 19 that makes it any better than 18 or 17. There is no reason to buy it. If Madden is going to release a new game every year there should be improvements and fixes. There were none here at all.